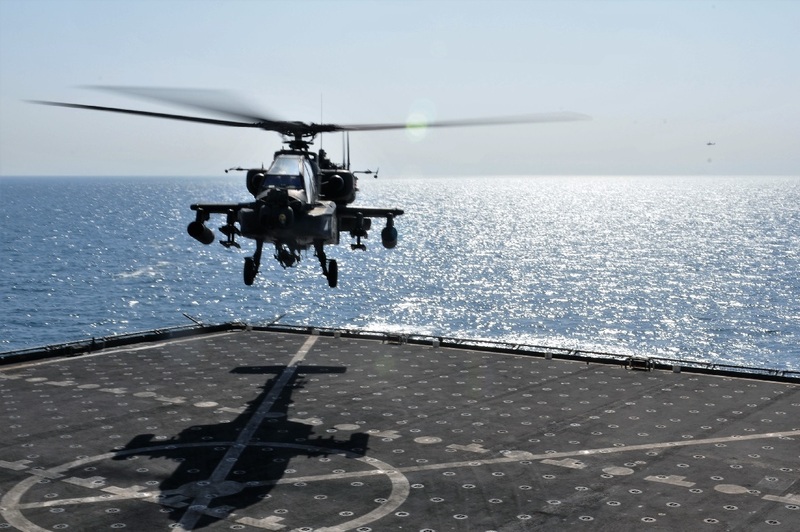 Taken on Oct. 11, 2016 the following pictures show UH-60 Blackhawk and AH-64 Apache helicopters assigned to Alpha Company, 1st Battalion, 111th Aviation Regiment, 77th Combat Aviation Brigade, conducting deck landings in the Arabian Gulf aboard the USNS Alan Shepard to qualify their crews in this type of maneuver. Army pilots and air crew of several different types of rotary aircraft have taken advantage of this unique training opportunity during their deployment to Camp Buehring, Kuwait. “Attaining and maintaining the skills required to land on a ship at sea is a task mostly associated with Navy and Marine Aviators. 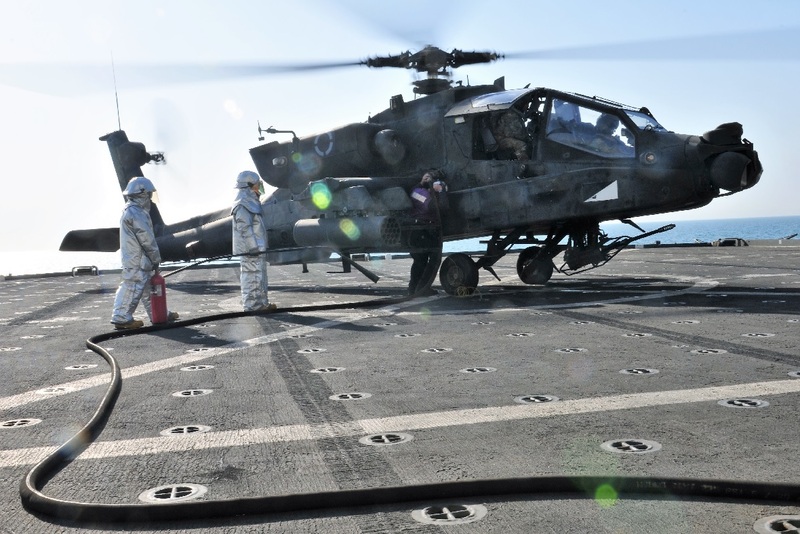 It’s usually not practiced by Army aviators because the lack of assets and money,” said Chief Warrant Officer 2 Bohuslav J. Humplik, 77th CAB pilot and Liaison to U.S. Naval Forces Central Command. 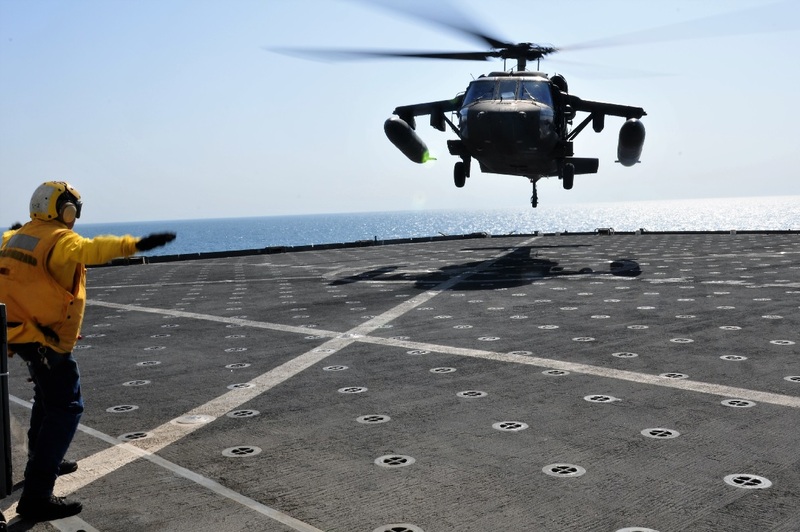 Humplik added that operating aircraft over water during both daylight and darkness is a great training opportunity for Army aviators because it presents challenges to navigation, communication and logistics. “As the military gets funded less and stretched more, tasks that were the responsibility of other branches need to be picked up by whoever is there, so we train more to do more with less” he pointed out. Training exercises like these play an important role in mission readiness and total force capability by increasing interoperability between branches, which is vital for joint collaboration missions. A claim comfirmed by Humplik who said that joint training exercises are a great way to expand the teams’ skill sets and help them work to identify issues before involvement in a real operation. Each pilot was required to make 5 approaches and landings during both day and night segments to obtain a qualification in the maneuver. 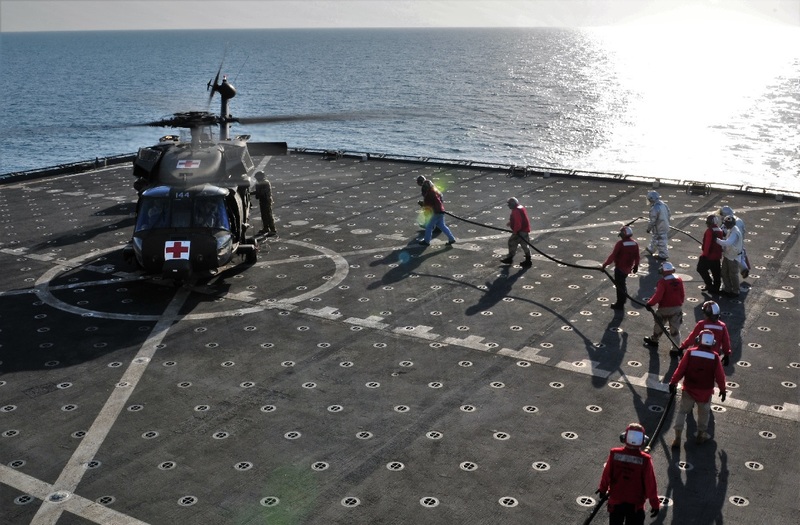 Upon completion of the qualifications each aircraft was refueled by the USNS Alan Shepard crew.